100% natural body oil. Anti-ageing, nourishing. 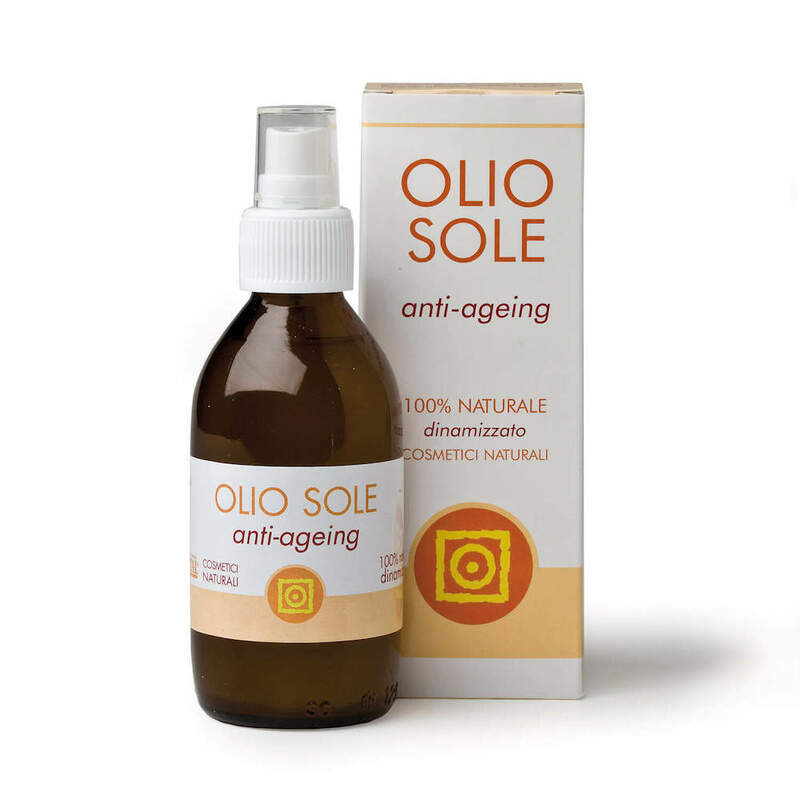 Sun Oil is an anti-ageing oil for the body. It contains pure Argan, Borage and Rosehip oils, rich in unsaturated fatty acids, essential for maintaining supple, soft and toned skin. The pure lemon juice and pure essential oils of Ylang-Ylang, Melissa and Geranium enhance its anti-ageing properties. The pure Sweet Almond, Olive, and Wheatgerm oils, naturally rich in vitamin E, nourish and give elasticity to the skin. The pure spring water has a toning action. Ingredients: Olea Europaea Fruit Oil, Prunus Amygdalus Dulcis Oil, Triticum Vulgare Germ Oil, Aqua, Citrus Limon Juice Extract, Cananga Odorata Flower Oil*, Melissa Officinalis Leaf Oil*, Argania Spinosa Kernel Oil, Borago Officinalis Seed Oil, Pelargonium Graveolens Oil*, Tocopherol, Rosa Moschata Seed Oil. *Natural components of essential oils: Citral, Citronellol, Limonene, Geraniol, Linalool, Benzyl Alcohol, Benzyl Benzoate, Benzyl Salicylate, Eugenol, Farnesol, Isoeugenol. Organic ingredients: Melissa Officinalis Leaf Oil*. DIRECTIONS FOR USE: Using the spray nozzle, apply a generous amount of Sun Oil onto the palm of the hand and massage into the body using using small circular movements in a clockwise direction until completely absorbed. For best results, it is recommended to use after a bath or shower, when the skin is warm and the pores are more dilated.